This Christmas we went to Copenhagen to spent Christmas with our families. So I thought that I would take the opportunity to film some of my favourite shops and places in Copenhagen, and write a little about why they are the ones I always visit when back in Copenhagen. Most of these places have a sentimental side to why they are my favourites, but they are also great places to get something a bit different when visiting Copenhagen. Probably the best nick nack shop I have ever been in, maybe because they are really good quality as far as nick nack shops goes. I can remember shopping at Søsterne Grenes ever since I was very young, and being excited about spending my pocket money in there. Today I go just to see what wonderful things they are selling now, and to pick up far to many things I never knew I needed and now can’t live without. This place just makes the best handmade chocolates, especially their champagne truffles are what dreams are made off. But they are also quite famous for their chocolate drinks, that come in the shape of a chocolate pyramid on a stick, that you stir our into hot milk or coffee. This is Denmark’s oldest confectionary shop, dating back to 1870, and it is the place to go if you like cake or/and hot chocolate. I remember coming here with my mum on special occasions, to get a hot chocolate and a white buttered bun. The hot chocolate being so rich and creamy and the white bun being light as air, and just taking in the surroundings of a place that haven’t changed with time, but value old traditions. Today it has become so sought after, that you have to plan you visit in advance and be prepared to stand in queue to get in. Now there isn’t anything really special about this place, this is really just the danish answer to Boots, but if you are interested in beauty, this is a good place to get you fingers in some danish beauty products like Raunsborg, Rudolph and Tromborg. This is where I go if I want to buy someone a present or want to find something different for my home. Despite not being the worlds biggest shop, they just seem to have everything you could ever thing off. Everything from cups, tea towels, hand blown glasses, to fancy paper, lamps and jewellery, and the list could go on and on and on. I especially love going there at christmas time, as they just seem to have the best christmas ornaments, some very unique as well. This place is really special, especially if you are a hard boiled sweets fan. There are two shops on the same street, but the one to go to, is the old factory shop that is located in a back alley, so be careful not to miss it. If you come doing production hours, you can watch how they use old fashion methods to make the sweets, and not a lot has changed in the shop or factory during the years, so it is like stepping back in time when entering the shop. My personal favourites are the liquorice without added colour and the rhubarb flavours. Tivoli Gardens and amusement park is special to everyone from Copenhagen and most of Denmark for that matter. Most people growing up in Copenhagen will have fund memories of this place growing up and being a special place to visit during the summer, as it only use to be open during the summer. It had its first christmas market in 1994 and is now open pretty much all year round. Unfortunately it has gone a bit commercial in some places, but I think it is mostly something you notice when you have been visiting your whole life. It does however still have a lot of its old charm, and it is even said that Walt Disney got the inspiration for Disney land after a visit to Tivoli, which you understand why once you see some of that old charm. Unfortunately we did’t have time to go in doing this visit, so I don’t have any video from inside Tivoli, but it is even more beautiful on the inside if you can imagine. Hope you enjoyed walking around my favourites shops and places in Copenhagen with me. This liver pate is so easy to make, taste amazing and will convert any non liver eating person. It is great for canapés on cut out german rye bread, as a starter served with toasted brioche, or just as a great lunch, on some bread or in a sandwich. My personal preference is on some good german rye bread topped with either, red onion chutney, sweet pickled beetroot or gherkins (or both and with rucola, like picture). Chop up the onions and place in a medium saucepan, over medium to high heat, with the oil. Sauté for a few minutes until they start becoming soft. Then add the chicken livers, garlic, bay leaves, sage and a splash of water, just enough to cover the bottom of the pan. Cover with a lid and let it cook for 7-9 minutes, stirring once in a while to make sure it doesn’t burn. Strain any water that might be left in the pot, and remove sage and bay leaves. Transfer to a blender and add the salt, pepper, butter and brandy. Blend well, until completely smooth in consistency. Pour into a container or serving dish, cover and place in the fridge to set over night. The perfect red nail colour. This is quite possibly the perfect shade of red of any nail polish I have ever tried. I have been having some difficulty in finding the right kind of red nail polish, as reds with a blue undertone suites my skin tone best, and it seems the trent at the moment, is more of an orangey-red. I find that most red nail polishes that have a blue undertone, is either to pink or to wine coloured. I did find a vibrant red in Kiko cosmetic though, nr.240, that is a very vibrant red with a slightly more blue undertone than yellow, and a close second to this one. But the Marc Jacobs colour in Jezebel just ticks all the boxes of a perfect red for me, especially for autumn-winter. it is just the the perfect grade of vibrant, perfect shade with a slightly more blue undertone and has the texture that makes your nails feel very luxurious. It is a very different sort of consistency than other nail polishes I have ever tried and it gives an almost sheer texture on the nails, and I did find it a bit difficult to apply. So do think this nail polish will require a bit of practise to perfect, to not make a mess or have streaks. For lasting power I did find it on the low end of the scale, when applying it the first time without a top coat, it only lasted a few days, but I did manage to go 5 days before first chip with a top coat second time around. I do feel like this is the case with some high end nail polishes though. I can never wear a Chanel polish for more than a few days for example. But at the same time you just get a different dimension in those polishes, so I will say that for the effect and the colour, I don’t mind having to paint my nails a bit more often, as this truly is beautiful on the nails. On a little side note, I did experience something quite funny while wearing this nail polish on a cold day out in London, it seems that the cold air or with the combination of warm gloves, I am not quite sure. The colour changed into a deep wine colour, but as soon as I had been home for a couple of hours it turned back into the original colour. And to find out what is your perfect red, click HERE to read my post on finding the right colours for you. Despite my last post also being about a Kérastase product, I decided to still split them into two post, as they are from different hair categories. 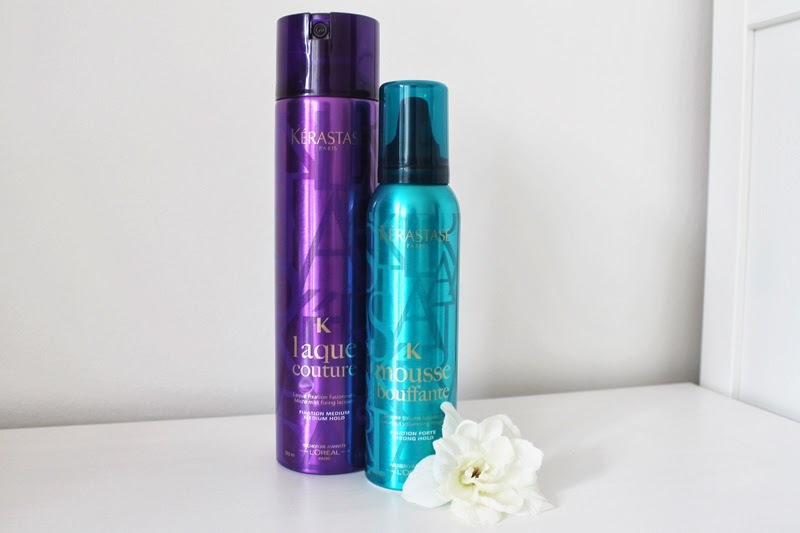 Now the Kérastase Couture Styling range is still quite a new range, so I hadn’t tried any of the products before and was therefore very excited to do so. I have to say they did just what I had expected, and I am really happy with my purchase. The Styling Mouse Bouffant, gives real good lasting volume to the hair, while still making the hair look natural and healthy. The Styling Laque Couture gives a really fine mist when spraying, making it easy to control product amount in the hair, and it gives a real lasting flexible hold, perfect as a finishing spray to finish of a blow-dry or after curling the hair. The only thing I am not the biggest fan of with these products, is the smell as it is quite musky, which is not really a favourite of mine, but I don’t seem to be able to smell it during the day. I think what I find the best about Kérastase products, is that they always makes your hair look quite natural, kind of like your own hair on a really good hair day. They also never seem to fail to impress when ever I have tried a new product, and I have never had any reactions or damage when using any of their products. So for those reasons, I think Kérastase will always be amongst my top favourite hair brands. For more information on the Kérastase Couture Styling range, click HERE. I have always been a big fan of Kérastase, and the fascination goes back to when I was very young and smelling my mums Nutritive Bain Satin shampoo. To this day, the smell of that shampoo, brings me right back to my childhood. Later on, while working as a hairstylist I always found Kérastase one of the ranges I would recommend most often to clients, as I always knew they would get great results using it at home. While working in a salon, I also attended quite a few training sessions with Kérastase, and one of the things you are taught is to start with looking at the scalp, when finding the perfect product for a person, as healthy hair starts with a healthy scalp. This has pretty much been my philosophy ever since then, so a natural choice for me when I have periods of sensitive and dry scalp, is Kérastase Specifique Bain Vital Dermo-Calm. Sensitive and dry scalp is quite common when you are feeling stressed, or as a reaction to new a hair products that your scalp might not like. So when seeing and remembering how good this shampoo is, when doing some online shopping at a very stressful time, my scalp literally did a small happy dance. This shampoo gives a calming affect on the scalp from day one of using, and just balancing it out to normal after just a few weeks of use. It will also leave your hair shiny and nourished, and easy to manage. A real winner if you are suffering from sensitive or/and dry scalp. I get mine from HQhair HERE. 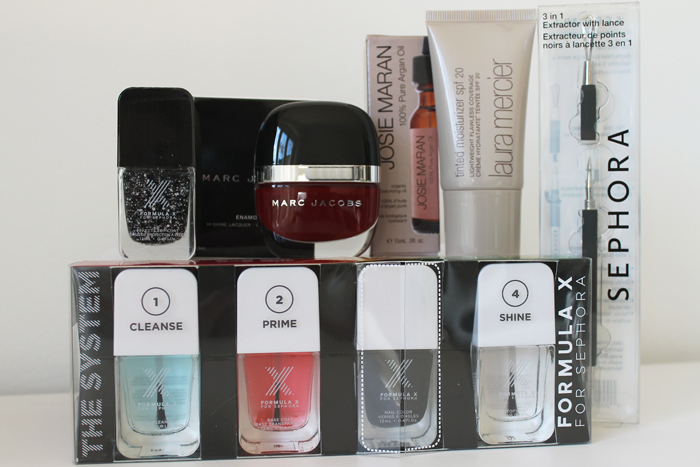 On our resent trip to the states, I did a bit of shopping in Sephora, click HERE to see haul post. One of the things I was really excited about was the Formula X for Sephora nail polishes, as had never heard about them before, turned out they where a completely new thing, just arrived in stores while we where there. I got the set just before flying back to the UK, so didn’t have time to try it out before leaving, which i am so sad about now, as I wish so badly I had gotten a lot more colours. This is quite possibly the most amazing nail polish system I have ever tried, it is so incredibly easy to apply, dries almost instantly, stays super shiny and last so long on the nails, that you almost think you are wearing gel nails. The pictures above was taken on the day on applying and 7 days after, and as you can see there is only a little bit of chipping on the pinkie and a bit of wear at the end of the nails. But what is even more amazing, is that I had been doing renovation work on the house in that time…..can you even believe it. The starter system consist of 4 bottles, a nail cleanser, that pretty much just dissolves any grease there might be left on the nail and that might make the polish chip of easier. I was a bit worried that this might be very drying for the nails, but I didn’t feel that in any way after having removed the polish a week later. A base coat that is not only suppose to protect the nails and have nutrients for the nails, but also works as a strong adhesive to make the nail polish stick to the nail better. 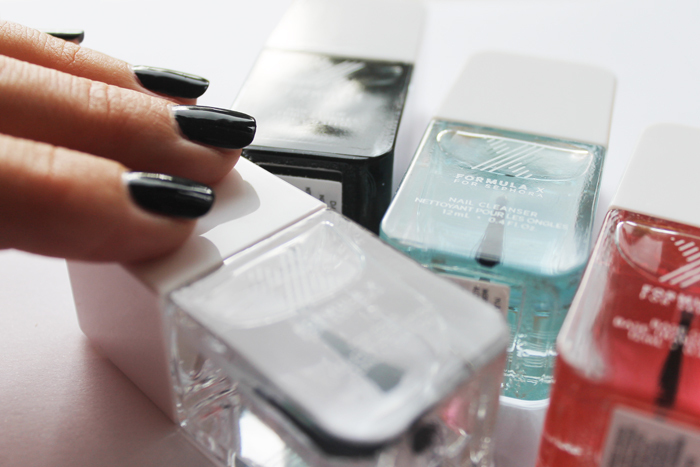 A nail polish colour of your choice. 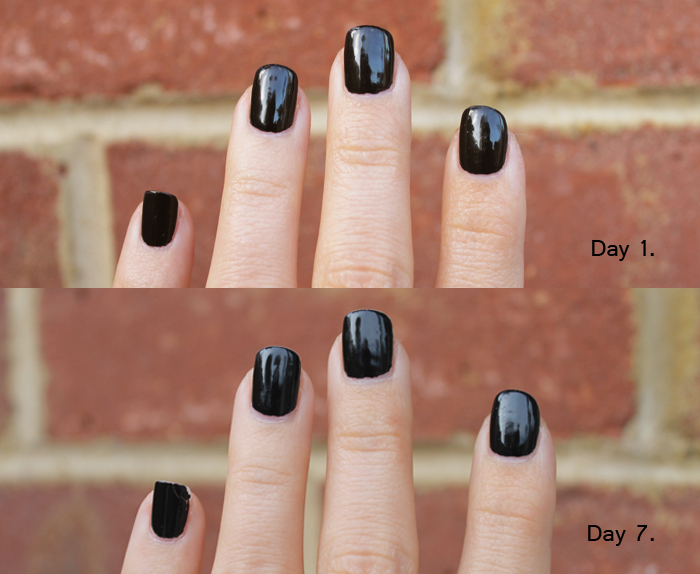 And a super glossy top coat, that gives your nails that almost gel shine and helps the nails dry a lot faster. I am only so unbelievably gutted that I didn’t get more colours, as this truly is such an amazing nail polish system. When we had the family over for the wedding, we took them around London one of the days, and one of the places we stopped was at Laduree. It was so they could try macaroons for the first time, and they all loved them. so when I saw a macaroon kit in Sainsbury’s that didn’t contained any dairy, it reminded me of the weeding weekend and I had to buy it. I have tried a few times to make macaroons from scratch, but they never really turned out that good look wise, so didn’t have to big hopes for the kit. Next day I wasn’t feeling to well, so my husband took it upon himself to make me macaroons to cheer me up a bit. Now he had never read about or seen anyone make macaroons, so he made these from just reading on the back of the packaging, and from the picture you can see they turned out amazingly. And 10 out of 10 for taste as well. He used Lactofree butter and milk, as I am lactose intolerant, and because the butter is lightly salted it gives them a slightly sweet and salty taste. I like that taste though, but this might not be for everyone. So if you are lactose intolerant or just want a go at making your own macaroons, I would definitely recommend trying this kit. So on my recent trip to the States, I might have bought some things, so thought, why not share it! To reed the post about the trip, click Here. First category is Sephora, where if I am honest, I could have used a lot more money, but I was very good and restricted my self. 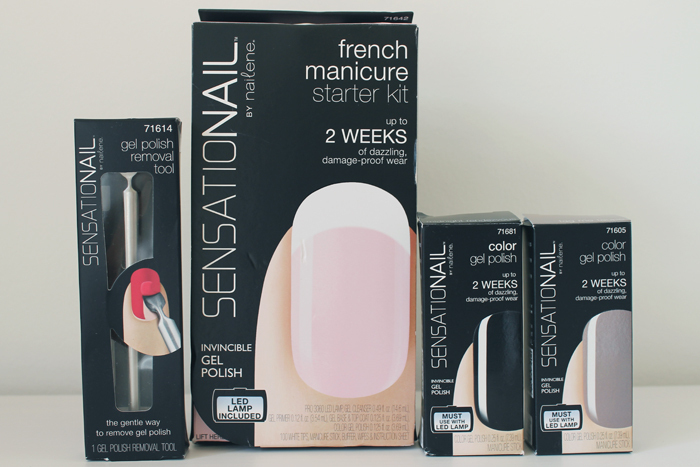 I got the starter kit from Sensationail in french Manicure. I also got the colours Midnight Rendezvous and Tag Me Taupe, and the Removal tool. Everyone who knows me, knows I am a big foodie, but I actually think I was really good at not bringing to much home. That being said, I did bring back multiple of some of the things in the picture. 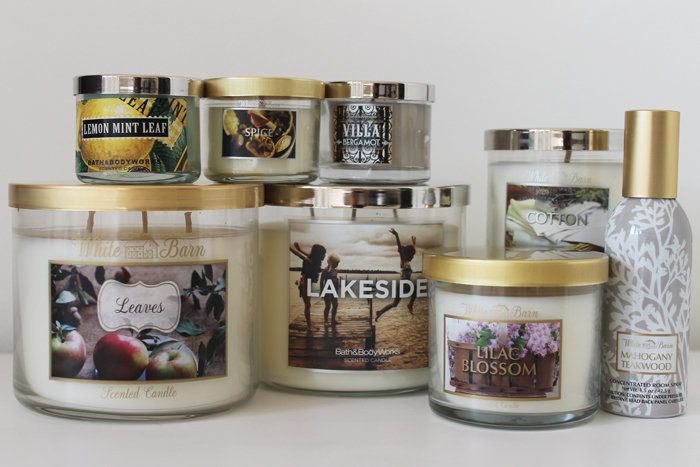 Celestial tea in flavours Apple cinnamon, Candy cane lane and Gingerbread spice. I will write individual reviews on the things I really like, once I have tried everything out, so look out for those coming soon.